Unrest around the world reminds us that peacekeeping and global aide are a present and pressing need. Thousands of displaced people have fled from their family homes, leaving extended family and familiarity far behind them. Displaced peoples are straining for safe and friendly borders. Today’s news is a reminder of a time, not long ago, when other refugees sought safety en masse. The 70’s found the Vietnamese “boat people” looking for safe haven and renewed starts, much like the Syrian refugees are today. The Tran Family knows the plight of young families fleeing a dangerous and violent threat as they were on one of those boats that made its way from the shores of Vietnam in the 70’s. Fleeing on foot through the jungle, their infant girl in arms, they knew that the smallest sound would give away their position, putting their entire group of displaced villagers in peril. Everything they possessed was used as payment to secure passage out of Vietnam and on to the boat that would take them to safety. For days and days they traveled by boat — hazarding harsh seas and doldrums, cramped conditions and desperation. Their first taste of safety was Hong Kong, where they were locked up until it was deemed that they were fit to travel, and shores further on ready to receive them. A church in Canada sponsored them, and they made their way to our peaceful land. Mr. and Mrs. Tran have worked for the same two companies for 35 years, growing their young family within the safety of Canada’s borders. Their infant daughter, upon whose silence everything depended in the jungle in Vietnam, is now a geophysicist. Her younger sister also became a geophysicist, and the other married into the field. Their son? He is an entrepreneur and a businessman improving his community through both business and community projects in real estate, and the music industry. Their reach? One of the many ways that the Tran family is building their country, and paying forward the hope that was offered them just one generation ago, is through a minivan donation. Their gift is helping new asylum seekers. As we were wrapping up the Tran’s donation process, yet another donor opted to gift a crisis fund for Syrian refugees. 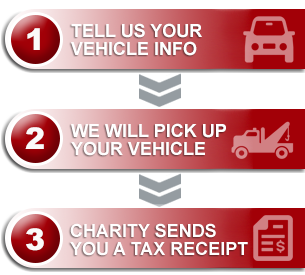 We are finishing up accounting on what will be a donation of over $15,000.00 from a single vehicle sale. Here’s to our donors and their generous efforts in reaching out to the newest of our new Canadians (not so long ago it was our Grandma and Grandpa in their shoes!). Here’s to all of us finding ways, big and small, to make life just a little easier for each other as we each exercise uncommon courage.